We know him best for his unforgettable roles on Monty Python—from the Flying Circus to The Meaning of Life. 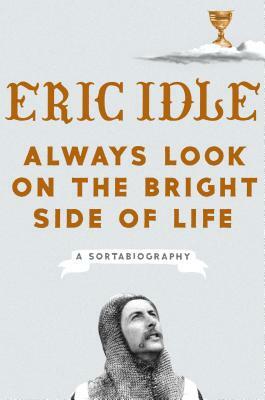 Now, Eric Idle reflects on the meaning of his own life in this entertaining memoir that takes us on a remarkable journey from his childhood in an austere boarding school through his successful career in comedy, television, theater, and film. Coming of age as a writer and comedian during the Sixties and Seventies, Eric stumbled into the crossroads of the cultural revolution and found himself rubbing shoulders with the likes of George Harrison, David Bowie, and Robin Williams, all of whom became dear lifelong friends. With anecdotes sprinkled throughout involving other close friends and luminaries such as Mike Nichols, Mick Jagger, Steve Martin, Paul Simon, Lorne Michaels, and many more, as well as John Cleese and the Pythons themselves, Eric captures a time of tremendous creative output with equal parts hilarity and heart. In Always Look on the Bright Side of Life, named for the song he wrote for Life of Brian and which has since become the number one song played at funerals in the UK, he shares the highlights of his life and career with the kind of offbeat humor that has delighted audiences for five decades. The year 2019 marks the fiftieth anniversary of The Pythons, and Eric is marking the occasion with this hilarious memoir chock full of behind-the-scenes stories from a high-flying life featuring everyone from Princess Leia to Queen Elizabeth. Eric Idle is a comedian, actor, author, and singer-songwriter who found immediate fame on television with the sketch-comedy show Monty Python’s Flying Circus. Following its success, they began making films that include Monty Python and the Holy Grail (1975), Life of Brian (1979) and The Meaning of Life (1983). Eric wrote, directed, and created The Rutles, the world's first-ever mockumentary, as well as the Tony Award-winning musical, Spamalot (2005). He lives in Los Angeles.